Christchurch is located in Dorset on the south coast of England. The seat was created in 1983 and been held by the Conservative party for all but 4 years since. 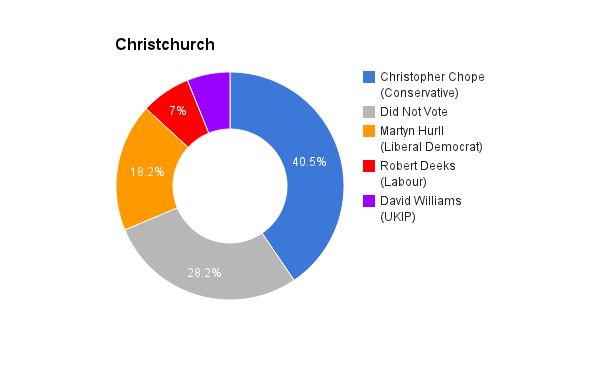 The current member of parliament is the Conservative Party’s Christopher Chope who has served since 1997.